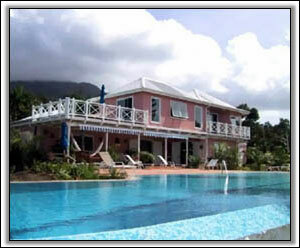 Chez Wilson is a very spacious, private and recently modernized villa located on the Western side of Nevis. It is located just above the Four Seasons Resort with its 18 hole Robert Trent Jones golf course and Pinney's Beach. 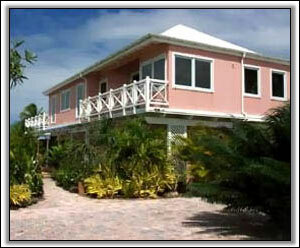 The lovely palm rimmed beach is one of the best on the island. The villa is discretely hidden behind a 17th century stone wall on two sprawling acres of palm trees, lush plantings, and fruit trees. Built around a tropical courtyard, Chez Wilson also has a magnificent 65-foot infinity pool with sunset views out to St. Kitts. The well-furnished verandah, with retractable awnings is an ideal site for dining, watching the evening sunsets or just pure relaxation. 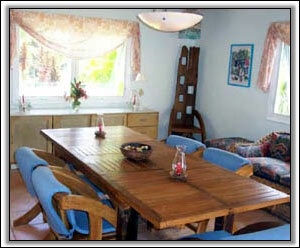 Separate dining room seating 8 comfortably. 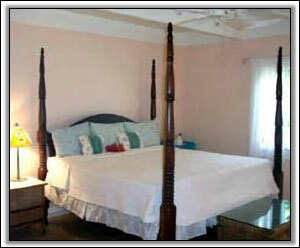 Recently added Master Suite comprising of a spacious king-sized bed, a study, and beautiful large tiled bath. 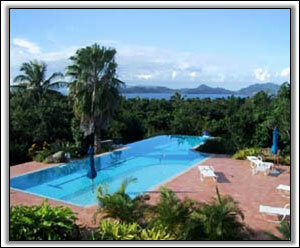 There is a balcony and a sun-deck with glorious views of the sea and St. Kitts. 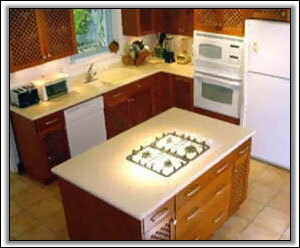 Ceiling fans, fax and photocopying machine, cable TV, DVD, and washer/dryer. Maid and Laundry service 5 days a week. Gate keeper 5 days a week.